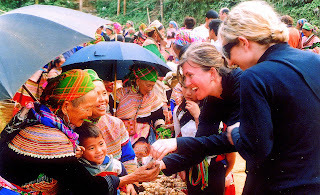 A trip to the Northern highland of Vietnam could not be perfect without a visit to its local markets, typical of which are Bac Ha, Sapa and Dong Van markets, opening every Sunday. They are the places where tourists can find all the best of cuisine and agriculture products. With the exclusiveness of the mountainous border areas, these highland markets will surely amaze you any time of year. 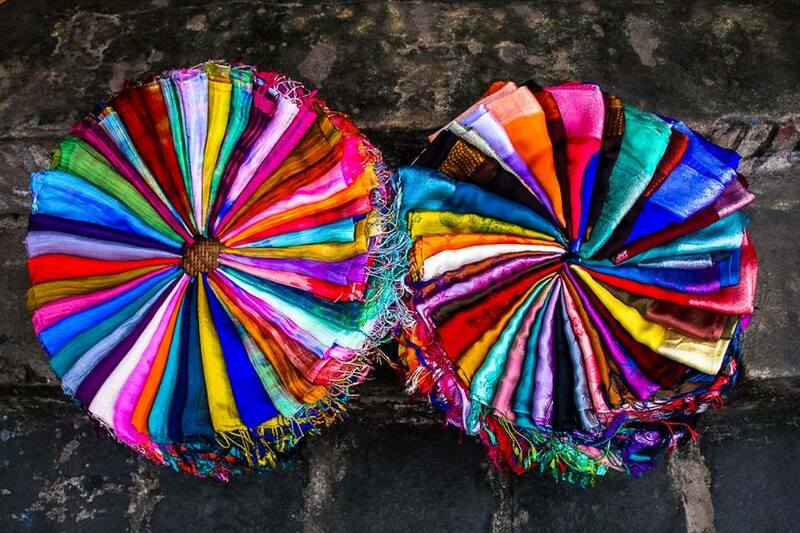 Being listed as one of the ten most attractive markets in the Southeast Asia, the Bac Ha Market is best-visit in the early morning of Sundays, when tourists can see a lot of ethnic women in colorful skirts and carrying their products and cattle to market. Visiting the market, you will fell lost in the colorful picture of the variety of products, from a golden patch of peas to giant cucumbers, fresh green mustard patches and brightly red chilies. 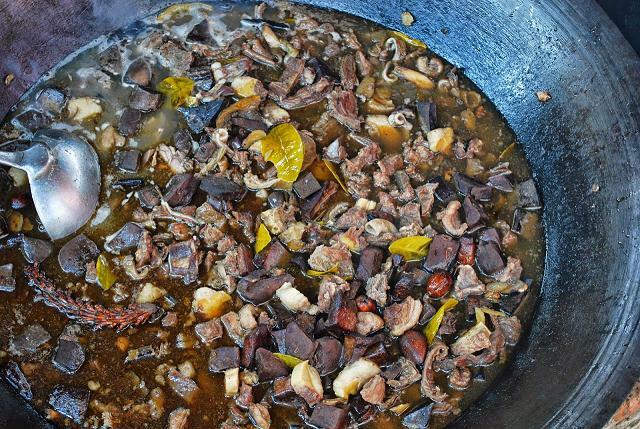 A famous dish that you should not miss when visiting Bac Ha market is “thang co”. It is a kind of hot pot including innards, bones, fat and meat from a cow, buffalo or horse. Moreover, you can also try some wine made from the fermentation of a local leaf named “hong my”, together with a special dish of bean soup served with corn flour. Walking to the end of the market, tourists will be impressed by a group of ethnic men playing a trumpet made from bronze and dry paddy plant, called “pi le”; as well as various booths of pork vendors and those selling local rice and corn cakes. The market is frequently organized at the center of an ancient town up on Dong Van Plateau on Sundays. It is where locals come to exchange their products that they grow and produce at home. In order to join the Dong Van market from the early morning, locals need to prepare from midnight. 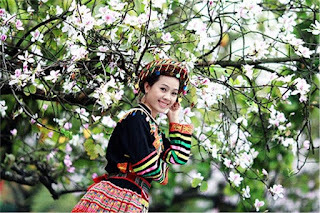 When the market opens, you can feel as soaking into a colorful festival with many people of different ethnic tribes including Mong, Dao, Nung, Lo Lo and Pa Then. They come to the market not only for shopping but also for seeking a chance to meet and talk to each other about their life and daily work. While men usually come to the market for purchasing cattle and farming tool and for tasting some wine and “thang co”, children are in for eating some ice-cream, a “luxury” dish in the highland that they cannot ask for on normal day. For tourists, they are attracted by the beauty in the simple routine, which has been a party of the hard life on the plateau for generations, whenever they take a visit to Dong Van market. 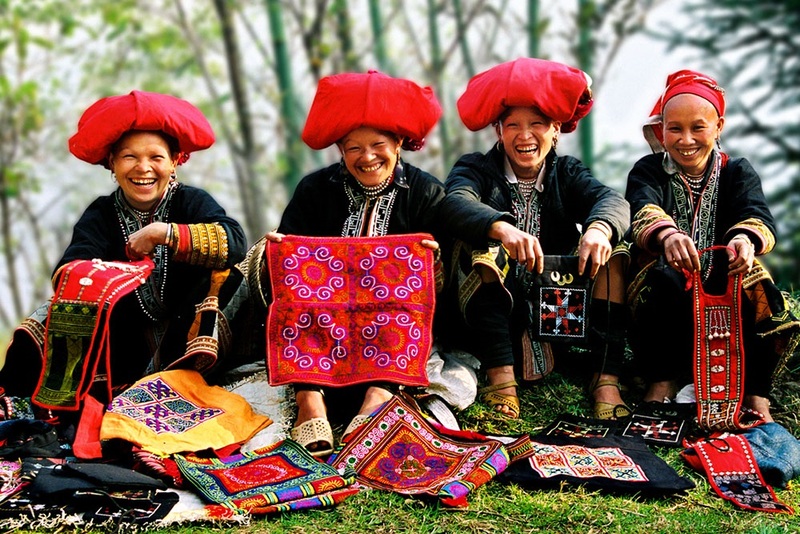 Lying at the foot of the roof Indochina Fansipan, Sapa is a poetic destination endowed with pure and cool weather. 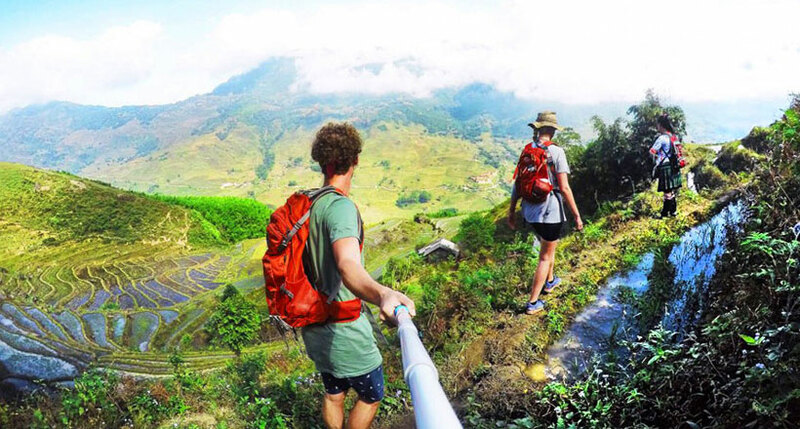 However, apart from its beauty, tourists come to Sapa for its weekly market, which is regarded as an important element that pins its name on tourism map. Visiting the love market in Sapa center, besides a lot of natural products from Hoang Lien Son Mountain Range, including wild mushrooms, plums, hawthorn berries and orchids; as well as peaches, pears and other fruits from O Quy Ho Rock Mountain, tourists are able to buy herbal products to bring home as gifts for friends and family. In addition, you can observe local ethnic women weaving and sewing bags and pillows at the cloth booths inside the market. Especially, joining the market on Saturday night, you will have a chance to listen to the love story tunes from the bamboo trumpet “khen”, performed by an ethnic man. Whatever, do not forget combining a visit these special highland markets to gain many worthwhile and memorable experiences when coming to Sapa - one of the most outstanding destinations in Southeast Asia. 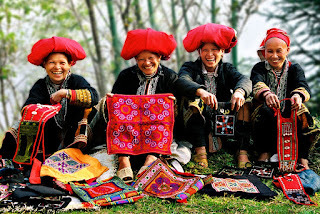 Tag: Highland Market Of Ethnic People In Vietnam - One Of The Ten Most Attractive Markets In The Southeast Asia, Sapa Tours, Vietnam Package Tours.